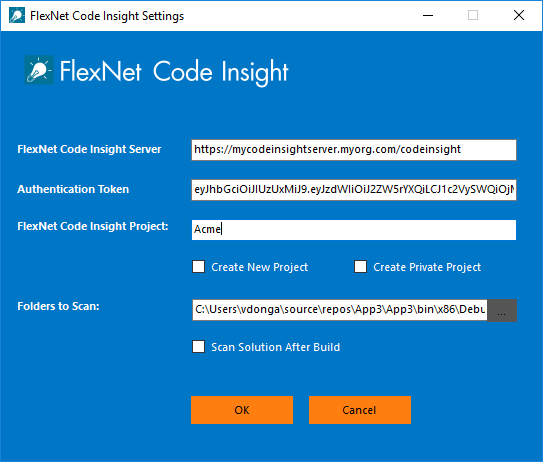 FlexNet Code Insight helps development, legal and security teams to reduce open source security risk and manage license compliance with an end-to-end system. It is a single integrated solution for open source license compliance and security. Find vulnerabilities and remediate associated risk, while you build your products and during their lifecycle. Manage open source license compliance. And add automation to your processes and implement a formal OSS strategy and policy that balances business benefits and risk management. 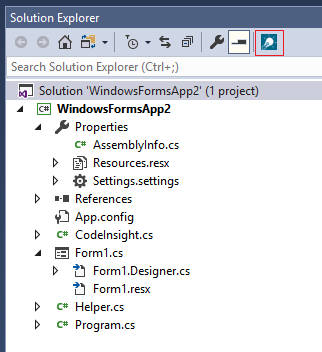 In Solution Explorer, click on the highlighted icon below.